One of the most popular types of leak detection from Cheshire Plumbers is thermal imaging. If you suspect a leak in your home it can sometimes be difficult to find the source, the resulting damaging causing misleading signs sometimes a long distance from the initial problem. 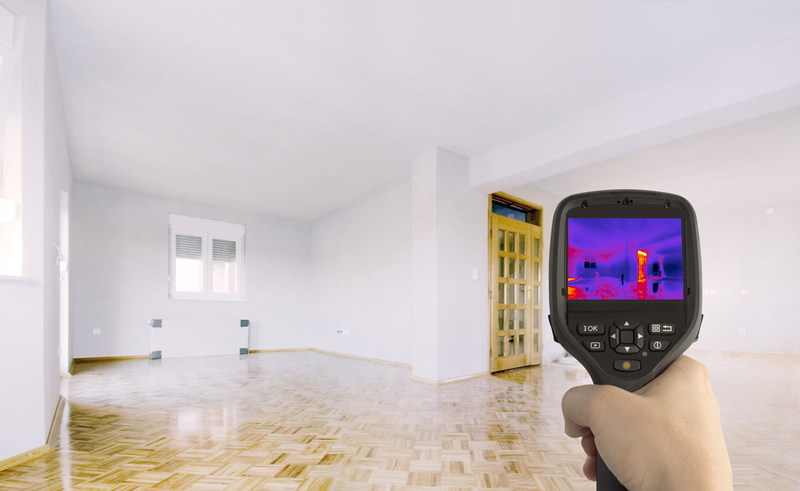 Thermal leak detection uses special infra red cameras to scan your home to detect where heat is being released; the heat is then converted to a signal which enables the camera to build an image of your home. Our skilled team can then asses this picture and identify the area the leak has come from. Without leak detection the costs could be high with disruption to wide areas of flooring or walls. If the leak is not found, it could also mean that the whole areas of piping must be replaced, which can be incredibly costly. Thermal imaging leak detection is used for a variety of leaks including underfloor and pipe leak detection and is a cost effective way to resolve the problem. It’s a great way to scan large areas quickly and is non disruptive, meaning that your household can be back in full working order in no time. Here at Cheshire Plumbers we have a skilled team who are all ITC Thermographers, and are highly trained in the field of plumbing. We’re the first choice plumbers for many in the area and have built an exceptional reputation on our reliability and quality of workmanship. If you would like to learn more about our thermal leak detection then please visit our thermal imaging page, or get in touch with a member of our expert team who can provide you with a quote, or give you any guidance you may need.